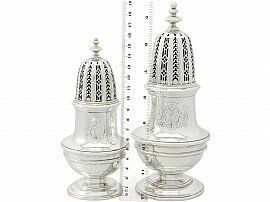 These exceptional antique George II sterling silver casters have a baluster shaped form onto a circular spreading foot, crafted in two sizes. 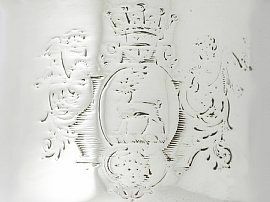 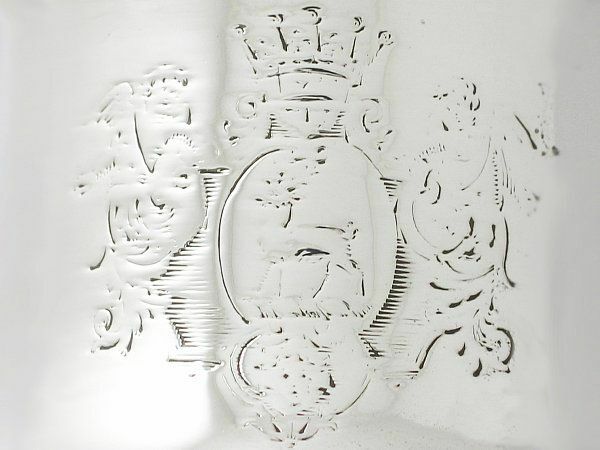 Each caster is encircled with plain girdles below a contemporary engraved crest of a stag statant below an earl's coronet and supported by two cupidesque figures. 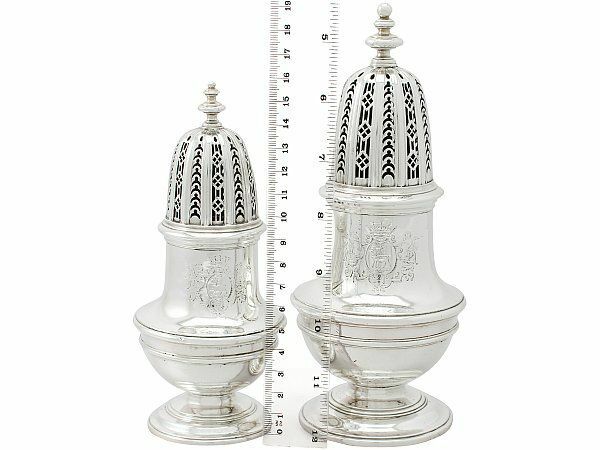 These Georgian casters each retains the original domed hallmarked push fit cover ornamented with bands of pierced decoration accented with vertical pales and graduating motifs. 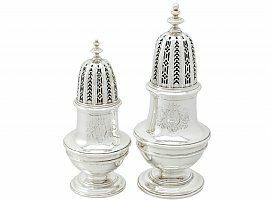 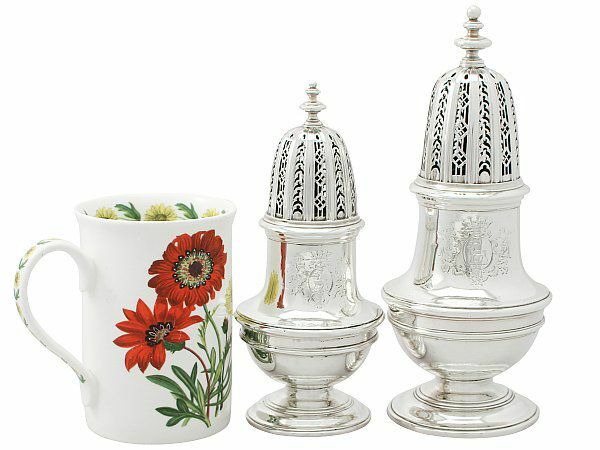 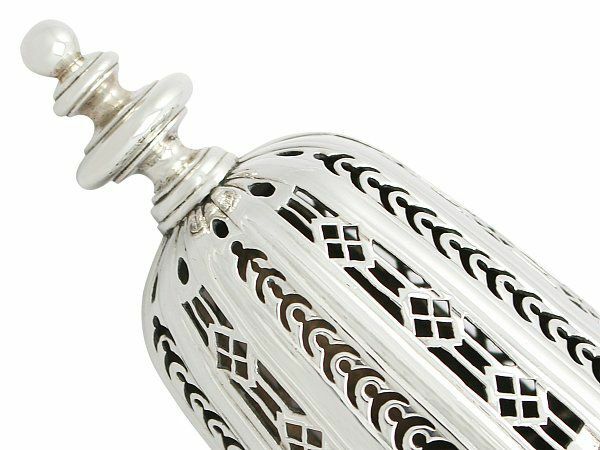 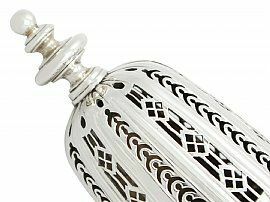 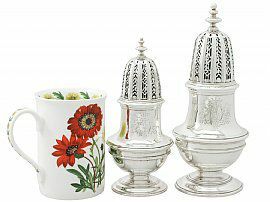 The covers are surmounted with impressive cast sterling silver tiered finials. 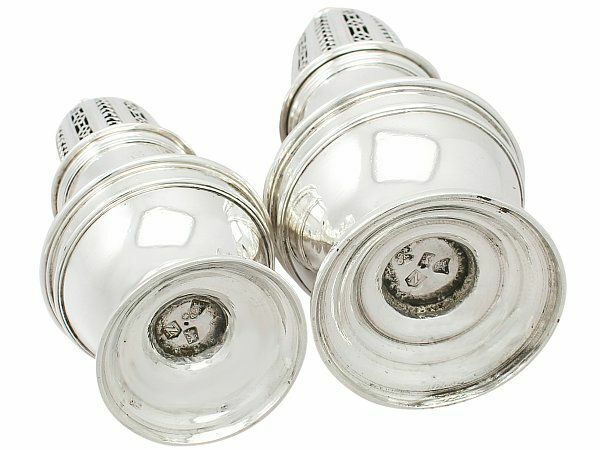 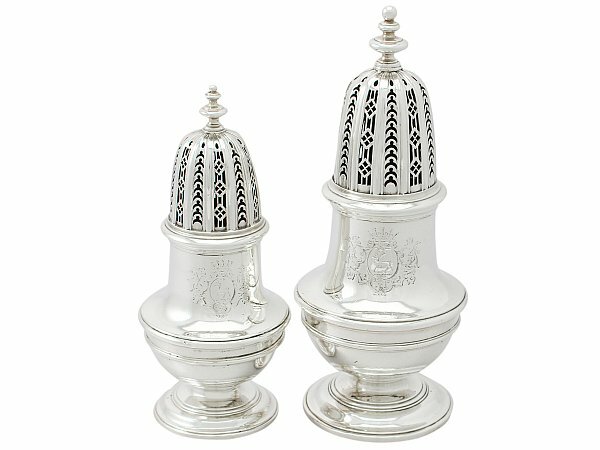 These antique sterling silver casters are exceptional examples of their type. 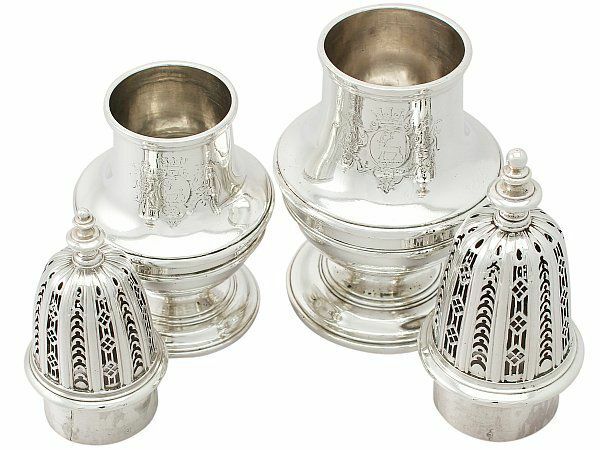 These Georgian casters are an exceptional gauge of silver, exceptional quality and in exceptional condition, in keeping with age. 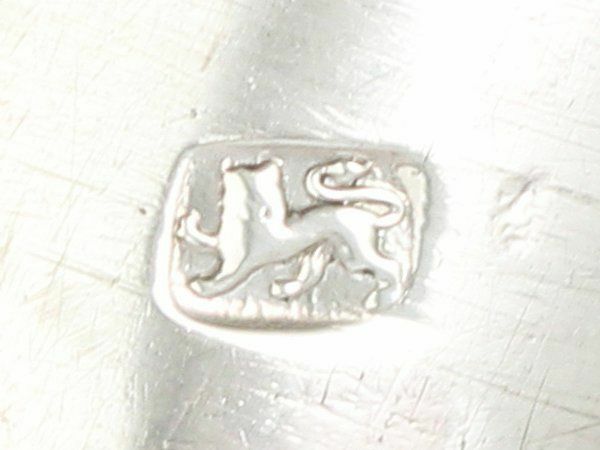 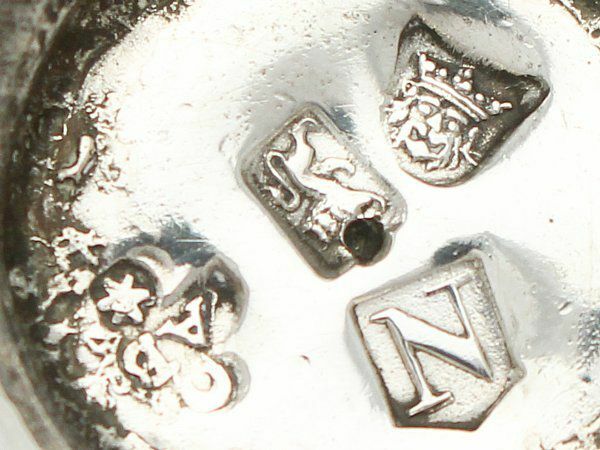 Full hallmarks struck to the underside of each base and part hallmarks struck to one cover are all very clear; the maker's mark to the second cover is rubbed. 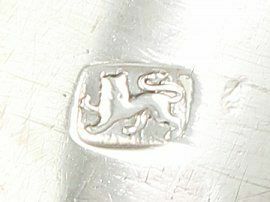 The maker's mark struck to the base of the smaller caster overlaps the duty hallmark but remains legible. Reflections in photographs may detract from the true representation of these examples of early Georgian silverware.